Awww – look at how sweet the newest Rilakkuma series will be! Apparently these cuties will be released on the 6th February 2012! I am definitely buying myself a set! 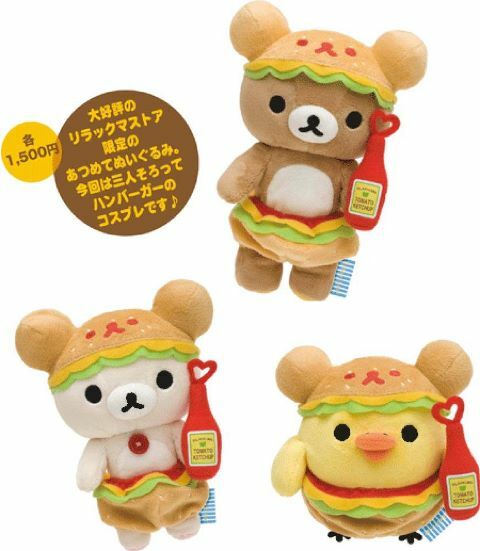 I love to eat burgers haha ~ don’t you think it’s kind of funny Kiiroitori’s in a burger too? He’s like a chicken burger lolol! Pingback: Happy Picnic/Flower Rilakkuma « Everyday with Rilakkuma feels happy like a Rainbow!